Posted by the Charleston DUI Lawyers at Anderson & Schuster, Attorneys at Law, LLC. Our Charleston DUI Attorneys help those charged with DUI and DUAC in Charleston, North Charleston, Mount Pleasant, Goose Creek, Summerville and across the South Carolina lowcountry. If you are charged with DUI, our Charleston, SC DUI Lawyers will discuss your case with you free of charge. A 21-year-old Oregan man had a bad night last month – he was arrested for DUI and other charges, including reckless endgangerment, harassment, and strangulation, after he allegedly drove his car onto a sidewalk, accidently hit a parked vehicle, and then got into a physical altercation with his girlfriend when she tried to take his keys. 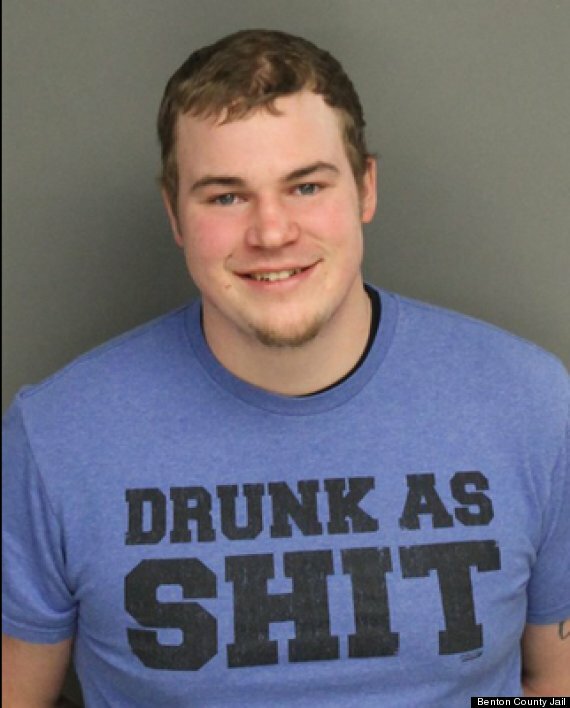 To pile on to his troubles, his unfortunate wardrobe choice for the evening, seen below in his mugshot following the DUI arrest, will likely not help his defense in the pending case.